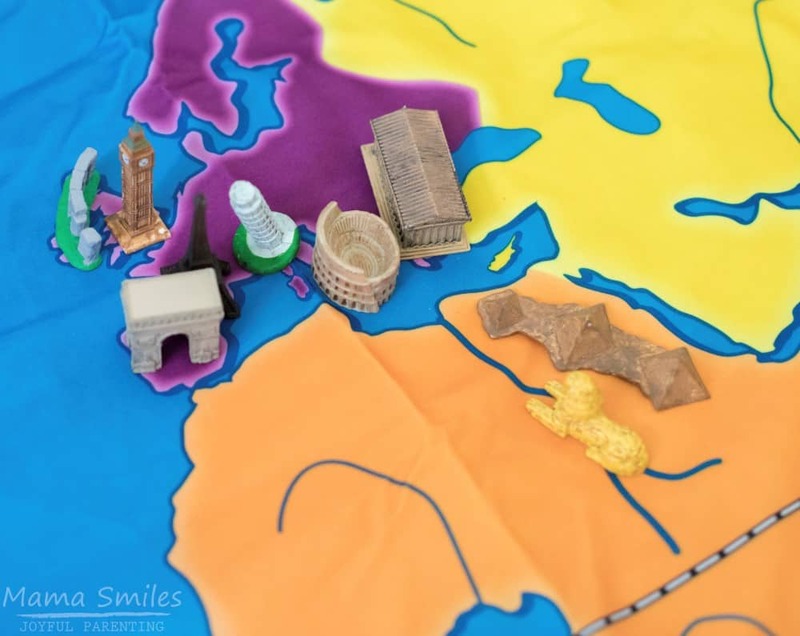 Use world landmarks to create a vibrant introduction to geography for kids. Inspire curiosity by bringing the world into your home. 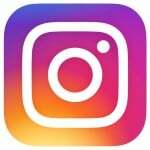 How much do your kids know about the world? Understanding world geography and world cultures is important to me. I grew up as a third culture kid, raised in five countries on three continents. 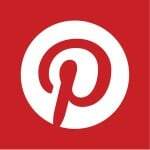 My children travel much less; thankfully there are some exciting ways to bring the world into your home! 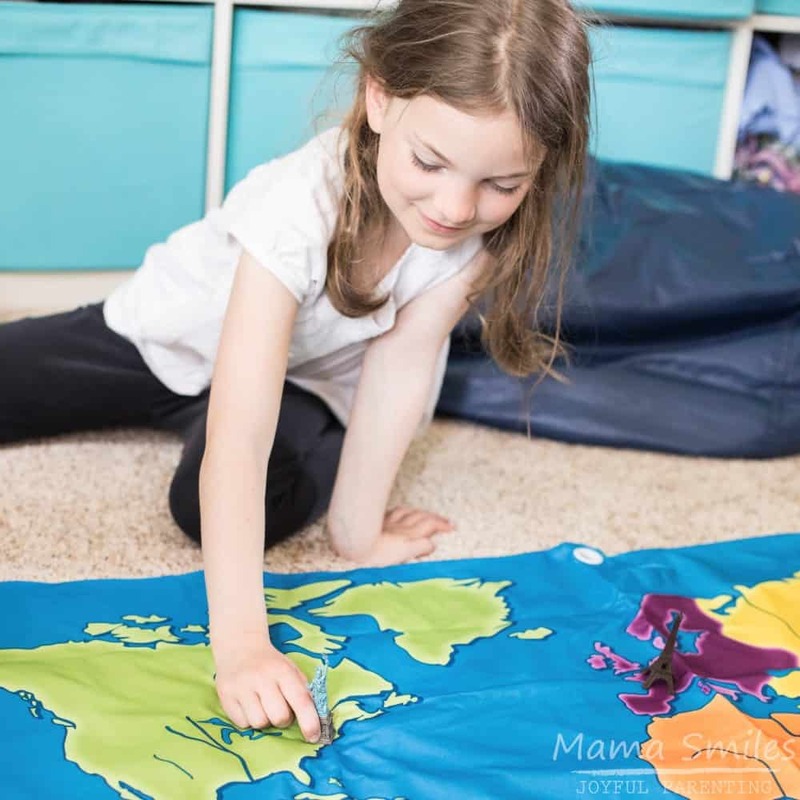 My kids love tracking weather around the world, and using coins to explore the world. This week I introduced them to world landmarks as another fun way to explore the globe. 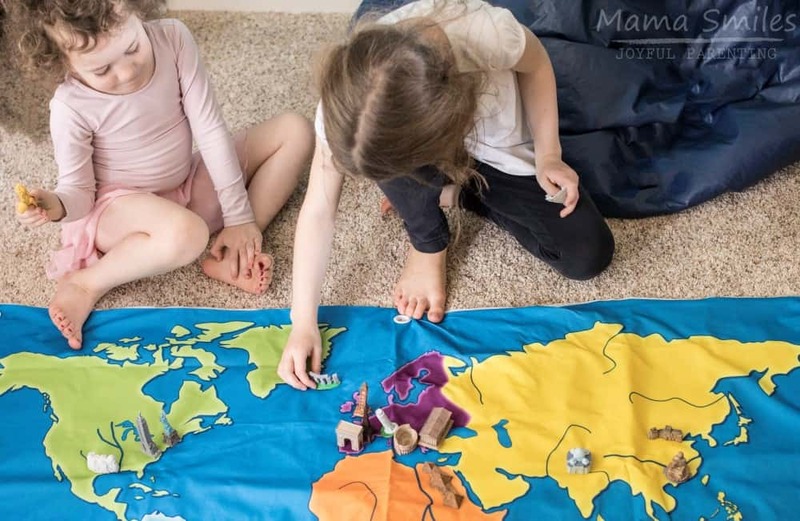 When Safari Ltd. sent us their World Landmarks TOOB and Around the World TOOB, I knew they would make for a wonderful hands-on world geography learning experience for the kids. 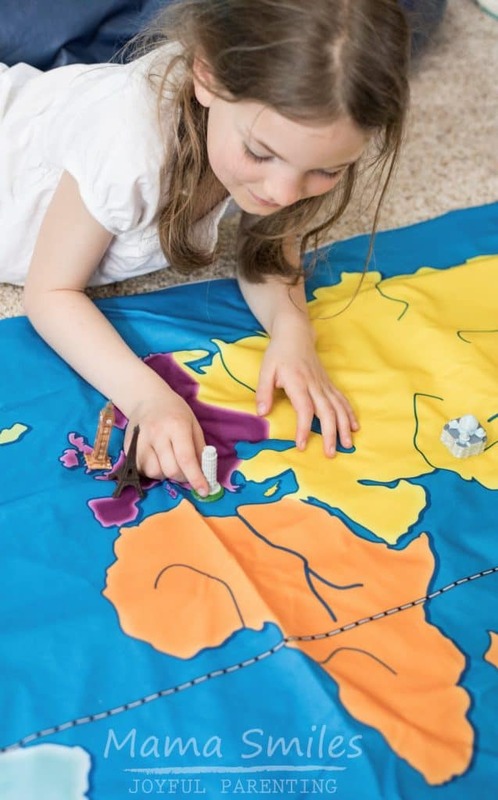 I pulled out our fabric world map, and set the kids to work placing the landmarks on the map. You could also make large felt map of the world, or try this homemade learning world map. The kids recognized some of the landmarks, and not others. We used Google Earth to figure out where to place the landmarks, and then we traveled there virtually within Google Earth. Did you know that you can “walk” around many of these sites within Google Earth? It’s a pretty amazing experience! We wandered around the Taj Mahal and the Statue of Liberty. The kids loved seeing Big Ben. Google Earth also allows birds-eye views of these sites that would only be possible via helicopter in person. Pretty amazing! We flew to Egypt and visited the Great Pyramid at Giza. The Sphinx was smaller than I expected. We visited Stonehenge in England. Now you are apparently allowed to touch the stones, and you can stand in the middle of the circle. They were roped off when I visited as a child. My children got to “stand” on top of the Arc de Triomphe and gaze out at the wagon-wheel spoke streets that converge on this landmark. Doing this in person was one of the more memorable experiences of my own childhood in France. Google Earth matches each location up with Wikipedia articles, so you can learn more about each site. As amazing as the virtual world we visited was, it was the World Landmarks TOOB and Around the World TOOB figurines that fully captured my children’s attention. Somehow, learning while holding a physical manipulative creates an experience that no screen can match. These small world landmark figurines brought the places we visited virtually to life. They also serve as lasting reminders of our virtual travels – reminders of what we learned together, and a reminder to “visit” again. My one regret with these sets is that it focuses almost entirely on the Northern Hemisphere, with a strong emphasis on the Western world. Easter Island is the only southern landmark. Sadly, there is no Google Earth view of the Easter Island monoliths at Moai. Hopefully that can be added soon. I was thinking that maybe the kids and I can try making more landmarks using Sculpey clay. What world landmarks do you recommend adding to our map? Looking for more ideas? Try these 10 ways to raise globally conscious children. Do you have a favorite way to explore the world with your kids? This is a cool set! I love how you raise your kids to be global citizens! I loved using the Toobs sets for my kids when they were little. There were so many lessons to be found in those little bottles. I’m pretty sure you are the person who introduced me to TOOB sets. 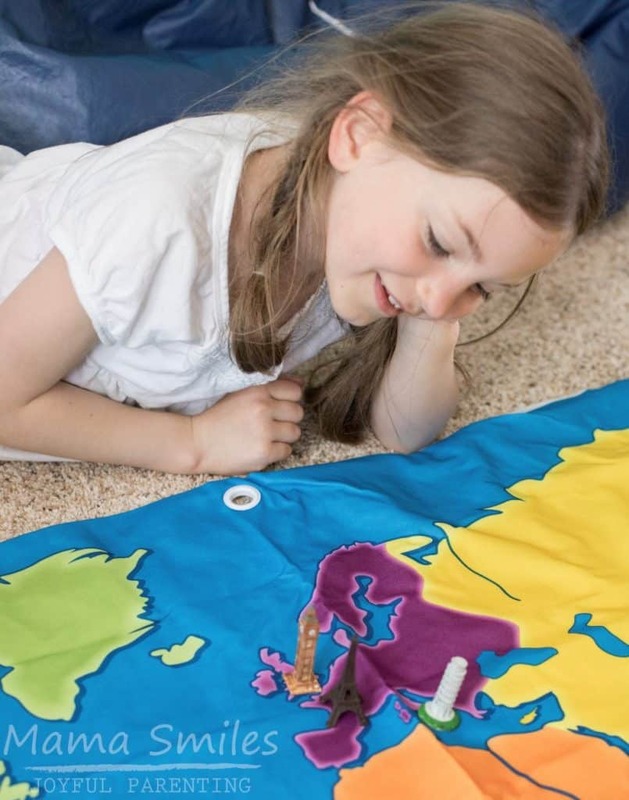 What a fun way to teach kids about geography! 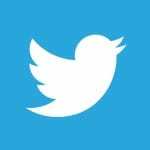 We are having fun with this.